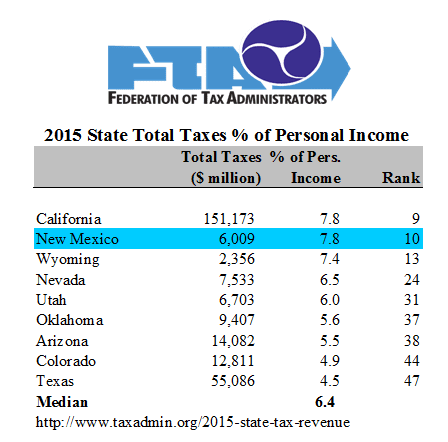 NM’s tax burdens are at California levels: why is Santa Fe even talking about tax hikes? The Federation of Tax Administrators has made 2015 state tax burden data available. 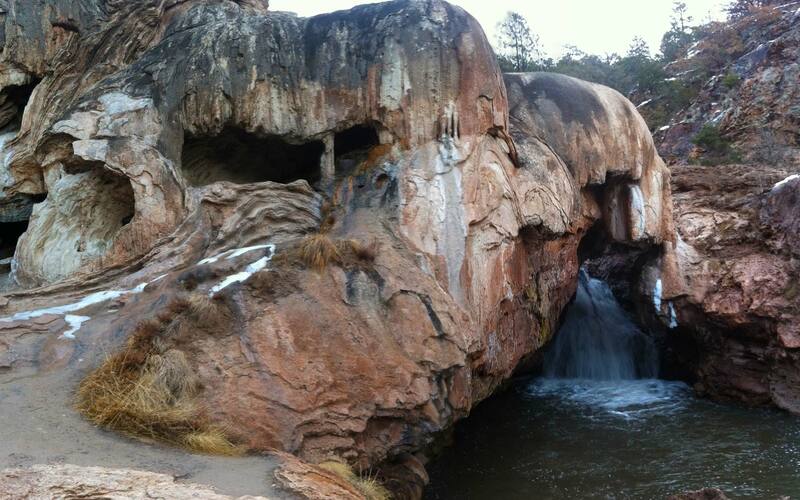 Although not a surprise to the Rio Grande Foundation, the data show that as a percent of personal income, New Mexico’s tax burden is on par with that of high-tax California. As if that is not bad enough, New Mexico’s tax burden is 10th in the nation while its next-highest-taxing neighbor (Utah) comes in at just 31st. Despite New Mexico’s heavy tax burdens, policymakers are meeting in Santa Fe right now considering myriad tax hike bills.